You’ve been hiding your smile for as long as you can remember. Now, though, you’re ready to explore your options and get back to looking and feeling your best. 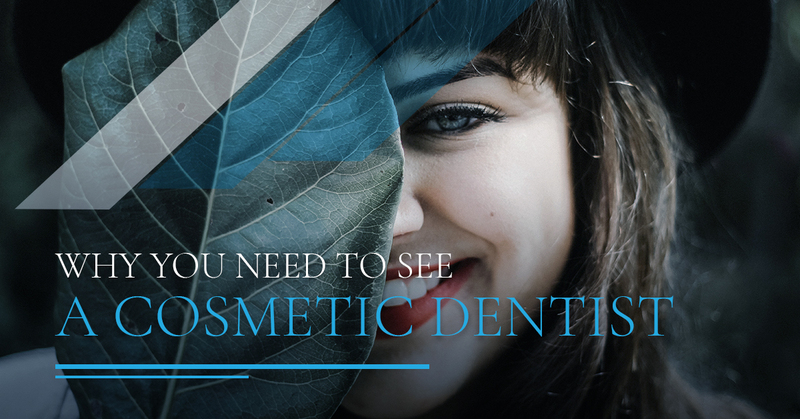 It all starts by reaching out to your cosmetic dentist and making an appointment. Whether you’re missing one tooth or a whole bunch of teeth, a cosmetic dentist can restore your smile in a number of ways. Dental implants, dental bridges, dental crowns, and dentures offer patients a safe and effective tooth restoration. Plus, thanks to advancements in technology, there are no major side effects to be concerned about following the procedure. Maybe you’re asking yourself, “Why would I have teeth removed?” Well, if you’re dealing with excessive decay or even an infection, extraction could be the only option. Of course, there’s also the chance you’ll need your wisdom teeth taken out at some point or another. Remember that the occasional tooth extraction ensures your mouth stays healthy in the long run. When you look in the mirror, do you see teeth that are too pointy, worn down, or oddly shaped? An experienced cosmetic dentist should have no problem reshaping your teeth for a more pleasing appearance. Porcelain veneers are becoming more popular among dentists and patients because they can be shaped accordingly. 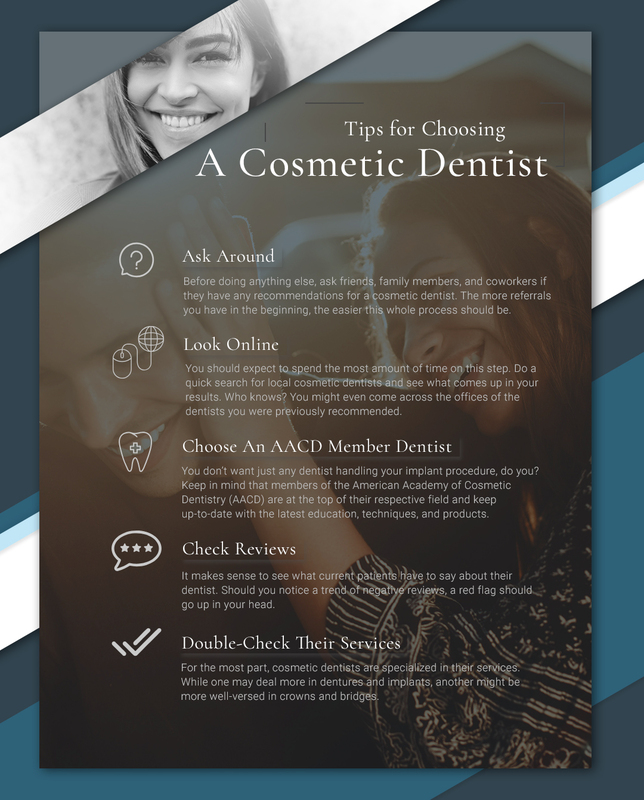 Now that you know a few of the ways a cosmetic dentist can help you, it’s time to start your search. But with so many dental offices in the Denver area, how do you know which one is right for you and your family? At New Smile Dentures And Implants, we make your visit comfortable and stress-free from start to finish. Part of what separates New Smile from other nearby practices is, of course, the dentist. Dr. Kate Steele has a passion for helping patients attain the smile of their dreams. Dr. Steele not only has more than a decade of experience, but she treats each and every patient like family. With various sedation dentistry options available upon request, you can sit back and relax while we handle the treatment. Don’t make the mistake of assuming every cosmetic dentist is the same! Learn more about our dental services today.